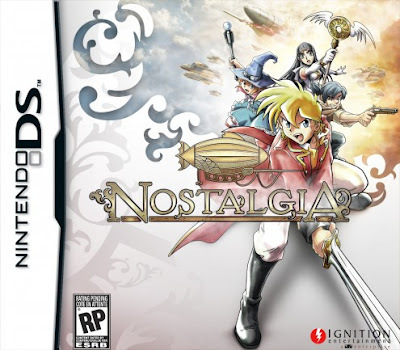 Synopsis: From the makers of Final Fantasy III and IV for the Nintendo DS, comes their most recent role-playing game, Nostalgia. This title takes place in the 19th century and places the player in a world of treasure hunting, dungeon exploration/battles, and airship battles. You take on the role of Eddie, son of a world famous adventurer who has gone missing, on a mission to find his father. 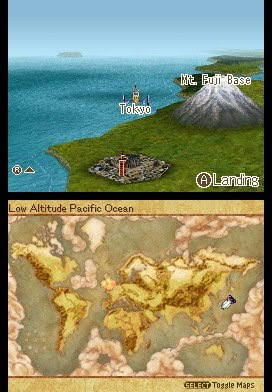 Nostalgia places real world locations into the title such as London, New York, Cairo, Tokyo, South Africa, and Russia, something rarely found in RPG titles. Praise: The number of missions available from story and character missions to Adventurer’s Association missions provides enough to keep any gamer busy for a long, long time. There is a steep learning curve, which can be rather overwhelming, but the first hour of the game takes you by the hand to ease your way into traveling, fighting, and in depth character development. 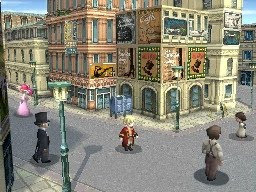 The graphics and cinematic cut scenes are beautiful for the DS on top of the strong storyline; this title does a great job at making the 19th century world and characters memorable. 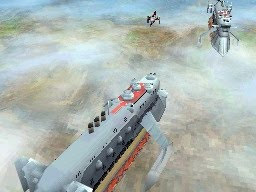 Battle mechanics and controls, whether it is character or airship battles, are similar to those found in the Final Fantasy remakes, which is a plus as it is something RPG fans will be familiar with while also being easy for newcomers to pick up. Gripes: Be prepared, at least in the first few hours of the game, are my strongest words of advice. 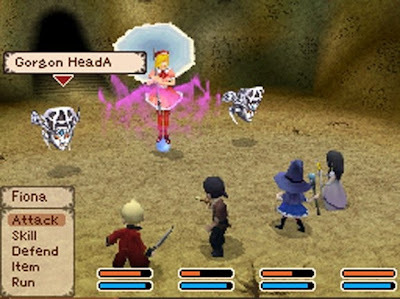 Through the first couple dungeons, it is easy to lose a character or have to restart from the previous save point, due to the random battles, minimal save points, and lack of preparation. A little bit of grinding can prevent this along with making sure you have enough items to keeps hit points on your characters. Lastly, I love a game with a lot to do and that can keep me playing it without blowing through it too quickly, but there may almost be too much to do, making me lose track of the story when spending hours seeking out character and side missions. Overall, Nostalgia did not pull any punches when creating this game for RPG fans, both old school and new to the genre. This is a great portable game in which if you take your time and explore all that it has to offer, there will not be disappointment. I have saved a little something for the end of my review, which is an open ended playable epilogue. This means that when the final dungeons and bosses are defeated, you are able to continue exploring an open ended epilogue, which the publisher states that it contains “many of the game’s coolest secrets”. Mashbuttons.com gives Nostalgia a 9 out of 10. Nostalgia is available now for the Nintendo DS.